Always wanted to find out what are your competition is doing on Facebook? With these 4 tips, you can potentially uncover a treasure trove of information that you can potentially use to optimize your ads. Because of the not too recent Cambridge Analytica controversy, of which 87 million users data were mined and used for political ads, Facebook opted for a more transparent approach with their users. 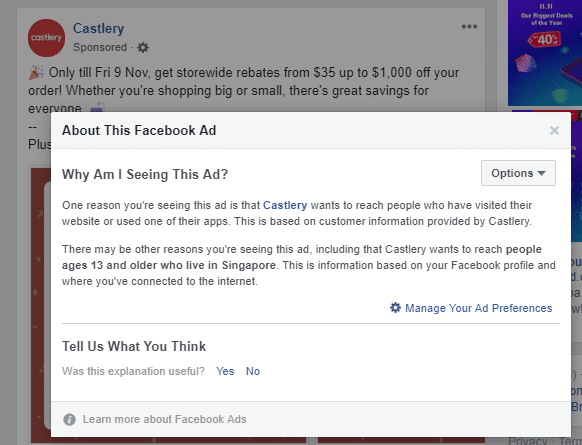 Launched back in June 2018, Facebook has now made available for any user to view the ads that are currently running (doesn’t include historical ads) on any Facebook page. To view this on the desktop, go your competitor’s Facebook page and click on the “Info & Ads” section at the bottom left hand portion. You would see the ads that your competitors are currently running. 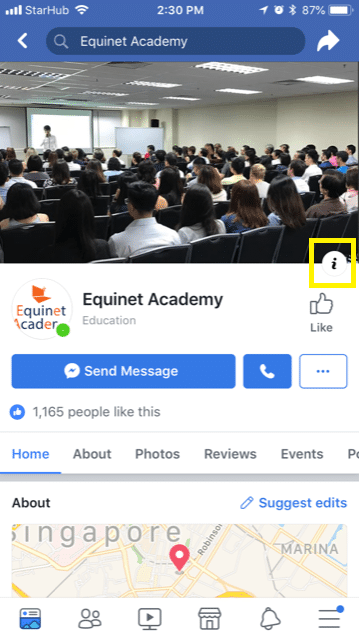 Take Equinet Academy as an example. 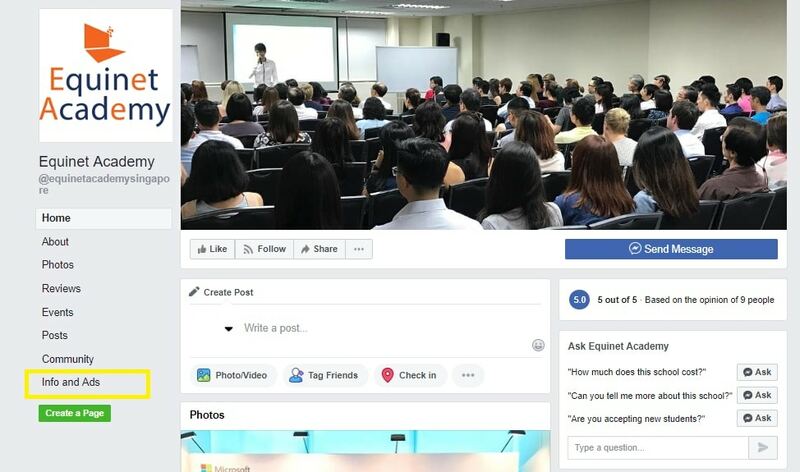 They are currently running FB ads to get signups for their a few of their digital marketing (SkillsFuture approved) courses. Take a look at their ad copy and image creative. Are these information that you can potentially take reference and improve on for your own business? It’s also worth while to notice if your competitor is directing their paid traffic to a specific landing page that is created just for their Facebook ads. On mobile, it’s slightly tricker. Make your way to your competitor’s Facebook page and locate the information icon (with the “i” text). It’s definitely less obvious as compared to the desktop option, but you will be able to see all the ads that they are running too. An important component of Facebook marketing is that of detailed targeting. Targeting allows you to show your ads to highly relevant people, and this will usually lead to better conversions. That’s the beauty of Facebook as compared to the other ad platforms out there. With Facebook ad platform, you can choose “Dogs” as an interest targeting. This show your ads to people who have an interest in dogs in particular. Finding these interest are usually a trial and error method, but there’s actually a simpler solution. To reverse engineer your competitor’s ads targeting with a few quick steps. Just a caveat, the information provided is actually quite limited. Step 1) Navigate to your competitors’ ads. Click on the 3 buttons at the top right hand corner of the ad. In this example, I chose to examine Castlery. Step 3) Check out what targeting are they using to target you (or your potential customers). In this case, Castlery is targeting me because I have visited their website before. It’s a remarketing strategy that Castlery is using. You are able to create such custom audiences for your ads within Facebook’s Business Manager -> Audiences section. Try it out for different ads. You will see different targeting parameters such as”Furniture”, “Interior Design”, “Audience Similar To Their Customers” and many more. 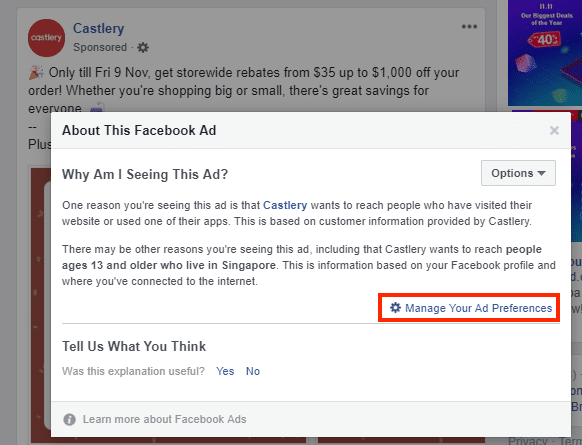 This will give you an indication of what kind of targeting that your competitors are currently using for their Facebook ads. What better way to spy on your competitors than to be served with more of their ads. There’s method of doing this. The trick is to let Facebook know that you have interested in their type of ads and would want to see more of them. And the way to configure this is to manage your ads preferences directly from your Facebook account. You will be able to see your different interests that Facebook has categorized of you. This is based on their machine learning algorithm, along with your historical interaction of Facebook ads. Taking Castlery as an example, the most relevant interest will be that of “Furniture”. There will be a popup box which will prompt you with more information on “Furniture” as an interest. You will be able to see examples of ads that are currently serving to this particular interest. This is a good opportunity to spy on more of your competitors’ ads too. 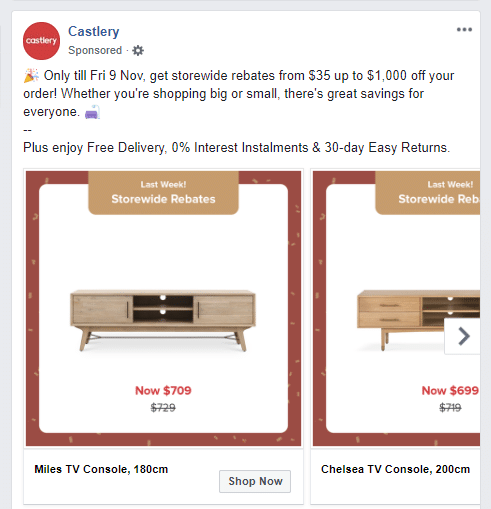 Now Facebook knows that you have a keen interest in the “Furniture” cateogry and they should be serving you more furniture related ads in the future. This will help you to view more of your competitor ads. Bit.ly links are a great way to mask those long URLs into a nice & short variant. Also, they are an effective marketing tool to track your links effectively. However, did you know that your Bit.ly stats are available to anyone? 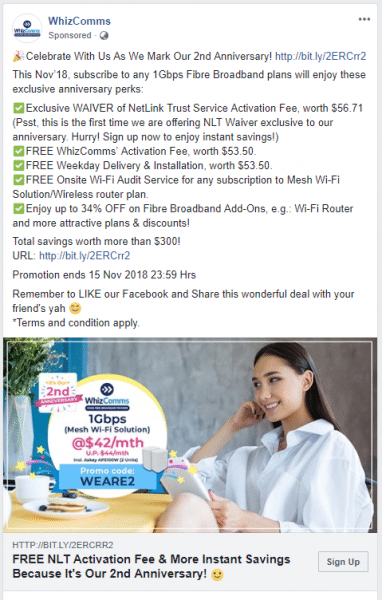 Let’s take WhizComms (a virtual broadband provider based in Singapore) for example. Did you see that they are running ads to a landing page? And the landing page is shortened with Bit.ly link. Copy the shortened link, add a “+” symbol to it and paste it on your web browser. You will be directed to the analytics page. There are a few interesting insights that you can get from this. How long has this ad been running? The longer the ad has been running, naturally it means that the ad is effective. I have seen ads that are running for more than 2 years. The number of clicks that has been generated. This gives an indication of the amount that your competitor is paying on a daily basis. Are they doing selective optimization of the ads? For example, is the ad running more aggressively on the weekdays VS the weekends? The same will work for any shortened link in general (goo.gl, po.st etc). Give it a go and see what interesting insights that you can find. Similar to other digital marketing channels, running ads on Facebook costs money. 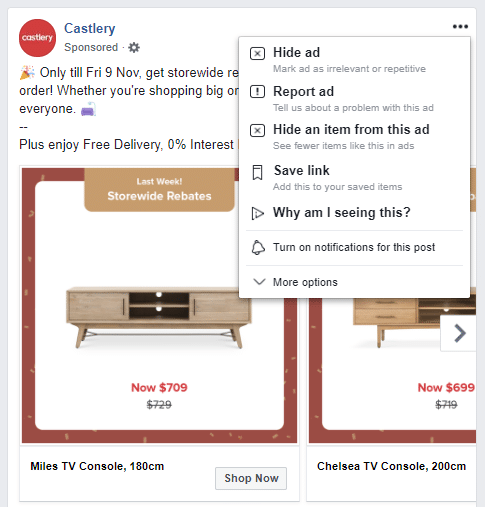 With these 4 hacks to quickly spy on your competitor’s Facebook ads, you can reduce your learning curve and the amount of money that you spend learning on this advertising channel. 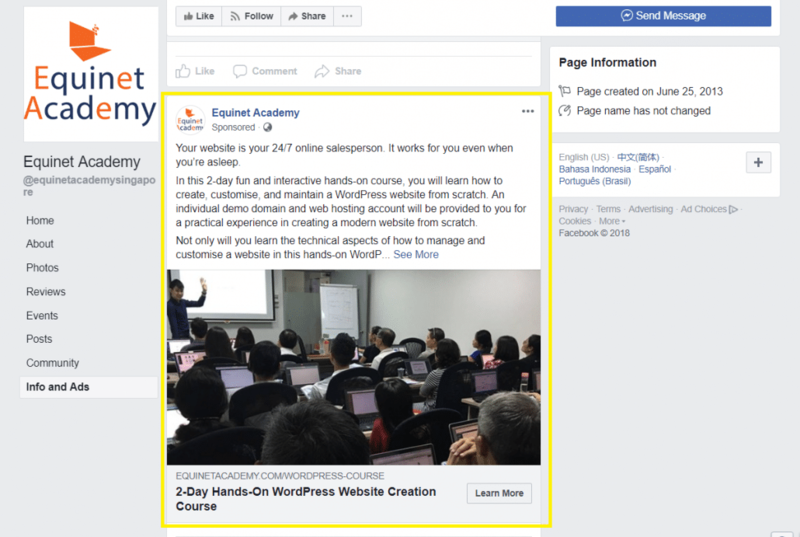 If you’re looking to dive into the Facebook Ads platform, check out our hands-on 2-day Facebook Advertising Core Competencies course. Get face to face training and real time consultation with an industry expert, peer to peer learning and interaction, and hands-on practical learning sessions that enable you to take away actionable strategies you can implement right after training. Have any other quick Facebook hacks to share? Be sure to drop us a message and share your tips! 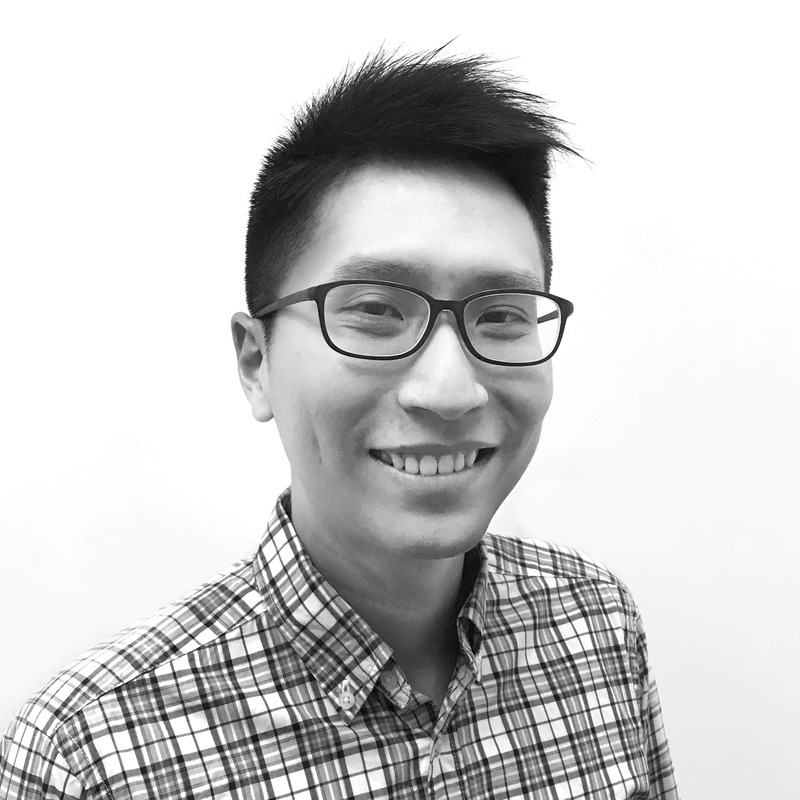 John is the co-founder of Secret Hideout, a creative marketing agency. As a digital marketer, he is obsessed about with driving impactful results for businesses via the different advertising channels.